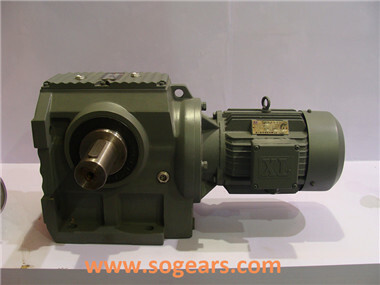 K series bevel reduction gearbox were 12 model. 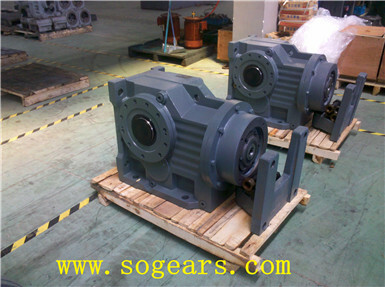 Background with R series helical gear reducer electric generator synthesis multistage slowing down. Power 0.12-200kw, ratio 32625. Torque 5.36-200 ~ 50000N m.
K series helical bevel motor reducer provides two machined bottom flange, feet flat or B5 B14 flange, moment of supporting frame way.this way and various installation position. Output type has solid shaft, hollow shaft. Spline hollow shaft and hollow shaft locking plate. Customers can choose according to different requirement. K series bevel reduction gearbox references motor for class F insulation. 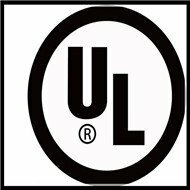 IP54 380 volts, protection, and 50 hz three-phase asynchronous motor, suitable for the ambient temperature - 10 °C a + 40 °C altitude, 1000m conditions operation, such as beyond the above conditions of use. Please get in touch with our company. 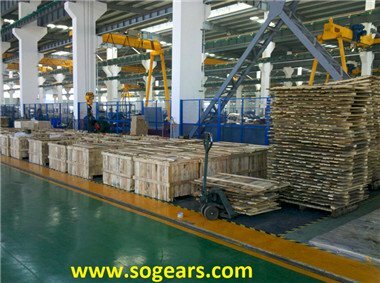 Curve-tooth bevel reduction gearbox is based on the smooth load running, daily working time and the frequency of startup times to design, but in actual operation circumstances, it is often not in accordance with the theoretical data. Therefore helical bevel motor reducer must be sure the type of loading, operation time, frequency of operation to determine the service factor of F1, the startup factor of F3, the original motivation factor of F2. So that it is less than or equal to service factor fn in selection table, or multiply the required torque by service factor (f1xf2xf3), the total should be less than or equal to the max torque of reducer. If K series bevel reduction gearbox is only under unidirectional load, it is better to indicate the direction of rotation ( from the output direction), this will be good for improving the bearing force of spiral bevel gears. 2,The altitude of working place for the helical bevel motor reducer should be lower than 1000 meters. 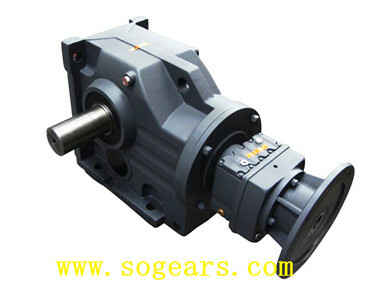 3,The input rotate speed of the bevel reduction gearbox should not exceed 1800rpm. The circumferential speed of the gear should not exceed 20m/s. 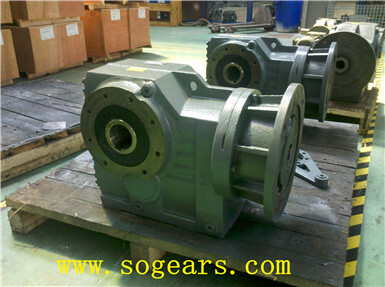 4,helical bevel motor reducer is suitable for normal-reverse rotation. 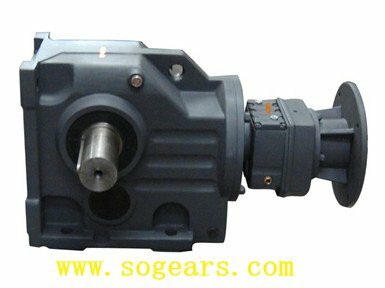 5,bevel reduction gearbox is without industry limitation.